Item 4 in 13D filings contains crucial information for investors following the moves of activist hedge funds. On December 27, 2018, Cannell Capital LLC — a hedge fund based in Alta, Wyoming – disclosed sending three separate letters to three company managements, notifying them of Cannell’s activist intentions. Buying the stocks targeted by Cannell on that date would have produced an average gain of 32.40% over the 25 trading days since. Copies of J. Carlo Cannell’s letters to management were contained in 13D filings – documents that must be filed with the SEC within 10 days of an investor acquiring beneficial control of 5% or more of a company’s stock. 13Ds are filed by “activist” investors, and a disclosure is also sent to the company referenced. The 13D describes who the investors are and why they have taken a large percentage ownership in the company. Any future changes in the facts contained in the 13D require a prompt amendment (13D/A filing). Unlike 13G filings, made by “passive” 5% investors, 13D filers often intend to make changes they hope will lead to a higher stock price at the targeted company. 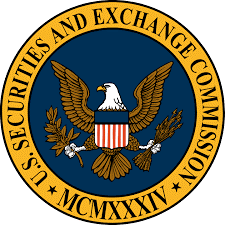 You can find 13Ds for publicly traded companies in the SEC’s EDGAR database or at sites such as WhaleWisdom.com. Though there are dozens of 13Ds filed every day, most of these reports are not interesting for investors or predictive of higher prices to come. Most 13Ds (or 13D/A filings) simply reflect a 5% holder buying or selling additional shares of the company, or other mundane transactions. The 13Ds that are worth paying attention to — and that often precede higher prices in the target stock – are those that disclose a new aggressive activist stance by the acquirer. If you’re an investor who wants to profit from 13D filings, do this: Skip down to the middle of the 13D document and read Item 4. If the filer discusses new steps it is taking to unlock value in the stock, you’re in business – dig more deeply into the situation. The 13D filers you want to follow, and possibly copy, will typically state one or more of the following objectives in Item 4: board control, board representation, maximizing shareholder value, or removing officer(s)/director(s). Even better, Item 4 in 13D filings may mention a letter sent to the company’s management outlining the activist’s analysis, grievances and proposals for maximizing the stock’s value. These letters can be found as attachments to the 13D filings. WhaleWisdom makes it easy to follow 13Ds, showing a link to the “reason” addressed in Item 4 if there is one. We’re all familiar with value investors – managers like Warren Buffett and Seth Klarman who invest in stocks they believe trade at a discount to the true or “intrinsic” value of a company. Many 13D activist filers are also value investors. Like all value managers they spend lots of time and money analyzing companies in search of bargains. But while value investors are known for their patience (Warren Buffett’s is often quoted as saying his “favorite holding period is forever”), activists aren’t waiting around for the valuation gap to close. Or possibly they’ve lost patience after a long wait. So they become the catalyst for closing the valuation gap. If activist managers are successful at forcing management to make changes, investors who buy the target stocks alongside activists can reap substantial gains. Of course, not all activist campaigns are successful. It helps if the activist has a successfully history of activism, like Cannell Capital LLC. To zero-in on important 13D filings, do this: Read 13Ds with text under “Item 4.” If the filer discusses new steps it is taking to unlock value in the stock, dig more deeply into the situation. Here is J. Carlo Cannell’s letter to Ring Energy, Inc. (REI). Note the threatening tone. Thank you for organizing and participating in the conference call of October 3 to clarify recent results, strategy and general state of our company – Ring Energy, Inc. It was gratifying to receive the comprehensive and fact-based evidence in opposition to the downgrade by Mr. John Aschenbeck of Seaport Global on October 2. Both parties can’t be correct, however. I choose to side with REI. Assuming we and other owners such as yourself are “right” and granting that your cost to borrow around 4% I suggest, nay demand, that you commence a modified Dutch tender to buy up to 19% of the shares into treasury immediately. The hurdle of a 5% rate of interest is trifling relative to the torque of your equity at $8 per share based on the facts represented in the October 3 conference call. We spoke about this with you and my sense was that you agreed. Yet no action has yet been taken by our company. The calculus is not complicated. The time, however, is now. If the Company’s board of directors is not able to grasp the immediacy of this matter, then perhaps the current board of directors are not the optimal stewards of the company. Here are the other two previously mentioned Cannell Capital letters: Health Insurance Innovations, Inc. HIIQ; Lee Enterprises, Inc.(LEE). Actionable 13D filings don’t happen often. And it’s very rare to see three in one day – not to mention three by the same hedge fund. But for those investors who cut through the noise and zero-in on the disclosures in Item 4, there is money to be made.